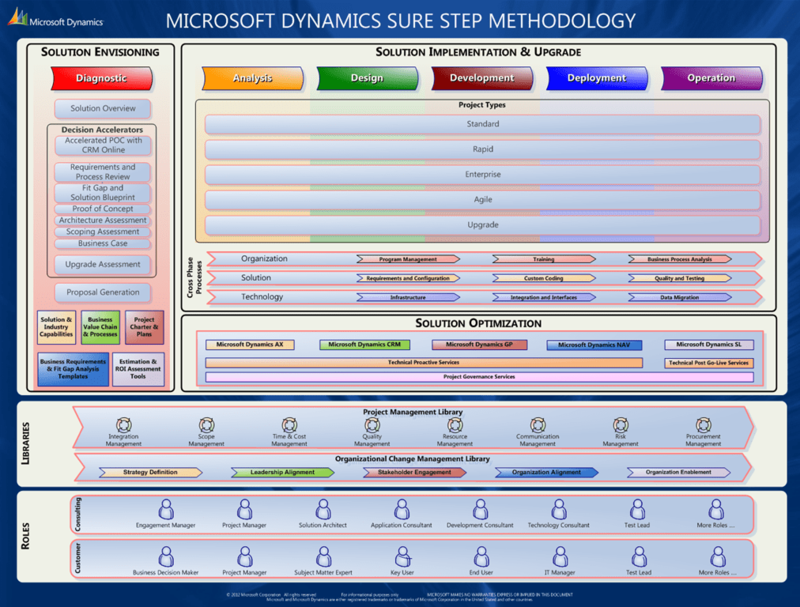 Implementing a new Microsoft Dynamics solution doesn’t merely introduce a new piece of software into your environment. Yes, the software is an important part, you need to deploy it successfully, configure it as necessary, probably even customize it and change the business logic under the hood. One component, however, is easily overlooked, and you wouldn’t believe how often it’s not addressed until late. Or too late. It’s the infrastructure. Infrastructure is tough. It’s not just servers and desktops with some wires, switches and access points in between. Its a lot more. What kind of hardware do you need for your servers or desktops? What kind of performance do you really need? What kind of network layout is optimal for your transaction volume? Should you run the client on desktop machines, or would a remote desktop access be a preferred method? Do you virtualize your servers? What kind of failover capacities do you need? Can you retain any of your old hardware? How many users will use the system? Tomorrow? In five years? What about interfaces and integration to other systems or applications? A couple of wrong answers, and down you go. It has been a while since I was here, and I will not try to make any excuses. I could say that I have been busy (which would be true), and that I have a family that I love spending my time with (which would also be true), but true reason is the one you all know: I have been lazy. Last time I promised to say a word or two about convergence once. Let me do it this once.